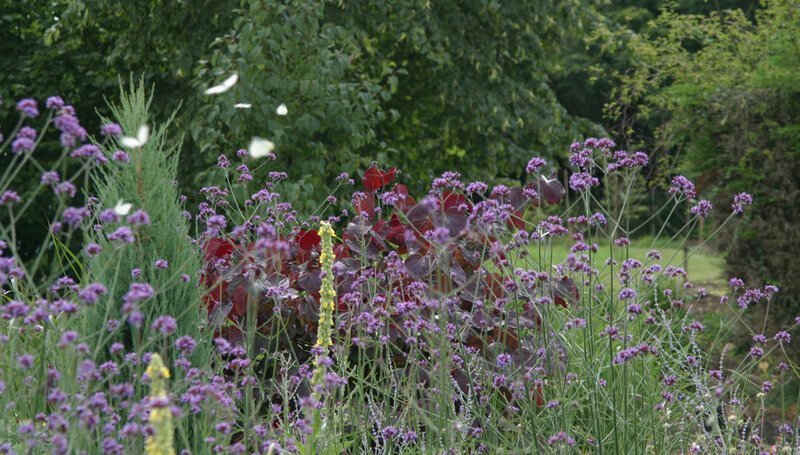 Sit and watch swallows dip and dragonflies dart across the water with a surround sound of birdsong. Winter and summer a Natural Pool is a magnet for wildlife and allows you to connect with nature. 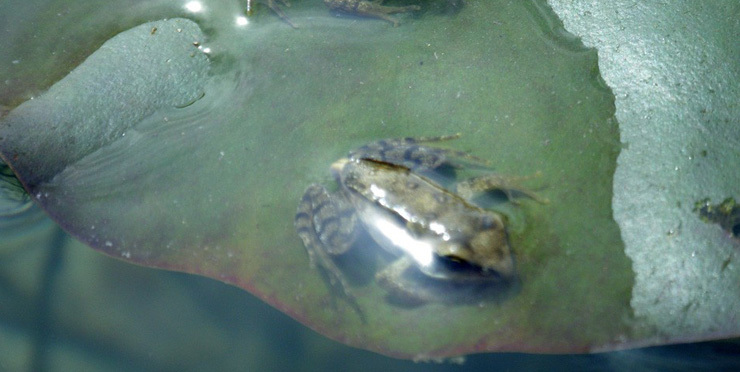 Designing your Natural Pool with wildlife in mind can help with planning applications too. 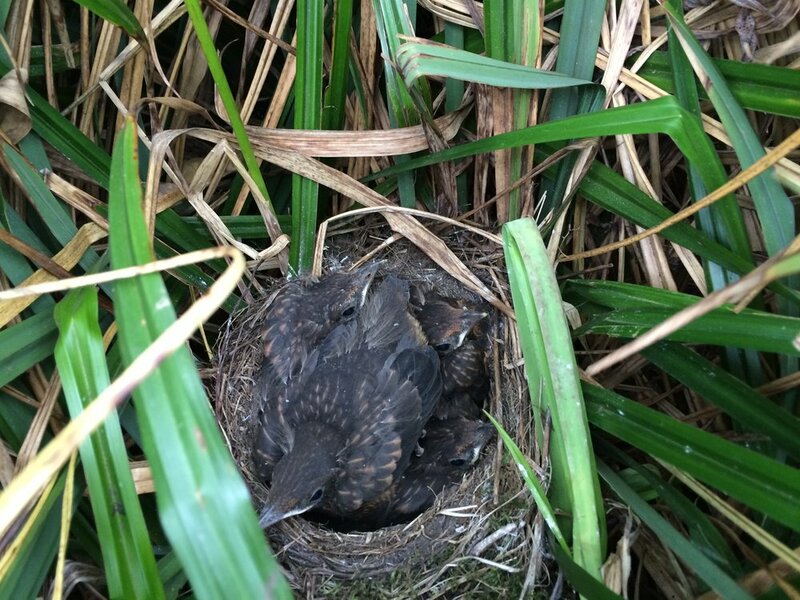 Since building our Natural Pool a few years ago, we have been astounded by the diversity of wildlife that has come to live in and around the pool and garden. In summer we watch dragonflies emerging from the reeds, spreading their iridescent wings to dry in the sun before darting across the water like mini helicopters. Swallows dip as we swim, we sit on the deck and enjoy their incredible aerial displays. Our pool has become a popular watering hole for many of our garden birds. In winter and summer, we enjoy seeing them bath in the shallow beach and splash around the cobbles- some of the species are on the Birds of Conservation Concern Red list, including the noisy sparrows, shy grey wagtail, comical starlings and our kingfisher, who visits the pool most days in summer, even using a striped deck chair as a convenient perch. Looking down into the crystal clear water is like looking into a giant aquarium and is even better explored with a mask and snorkel. Hidden amongst the delicate oxygenators and water lily stems is a world of pond life we think resembles the cast of Star Wars. Goggle eyed caddis fly larvae make their homes out of pieces of filter grit; diving beetles dart through the water with a bubble of air trapped in their wing cases and water boat men glide upside down with purpose. 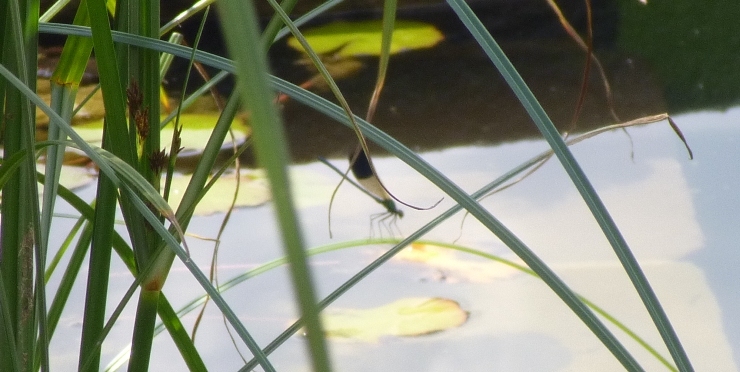 Above water, pond striders elegantly span the water’s surface and a family of shiny whirly gigs moves like atoms in a giant molecule, growing in numbers as the summer progresses. But squeamish clients need not worry- wildlife does not like open water and stays in the regeneration zones leaving you to enjoy the swim zone. In Spring frogs and toads spawn amongst the shallow marginals, croaking noisily day and night. 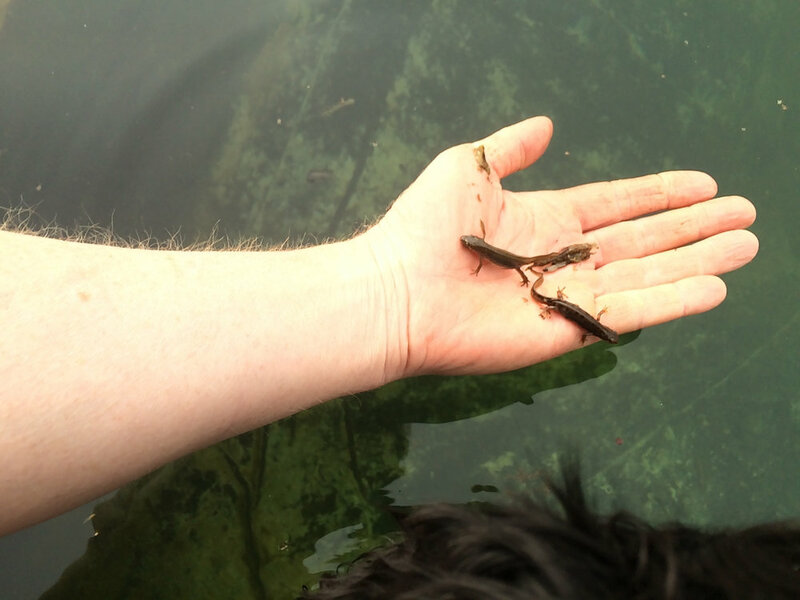 Out of the hundreds of tadpoles that emerge, only a few survive as our resident newts feed off them. The naturalistic borders around our pool provide a great habitat for young amphibians leaving the water, with hibernation spots for newts in winter. Since developing our garden around the pool, we have seen the vole population increase dramatically, which in turn feeds predators higher up the food chain. 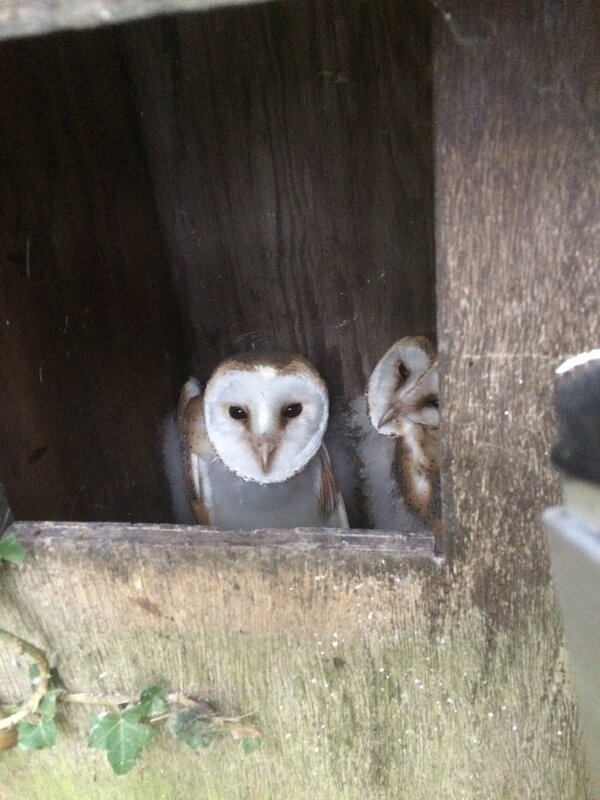 Buzzards, kestrels, tawny and barn owls all nest and live near or in the garden and are seen regularly- a sure sign the ecosystem is in good health. 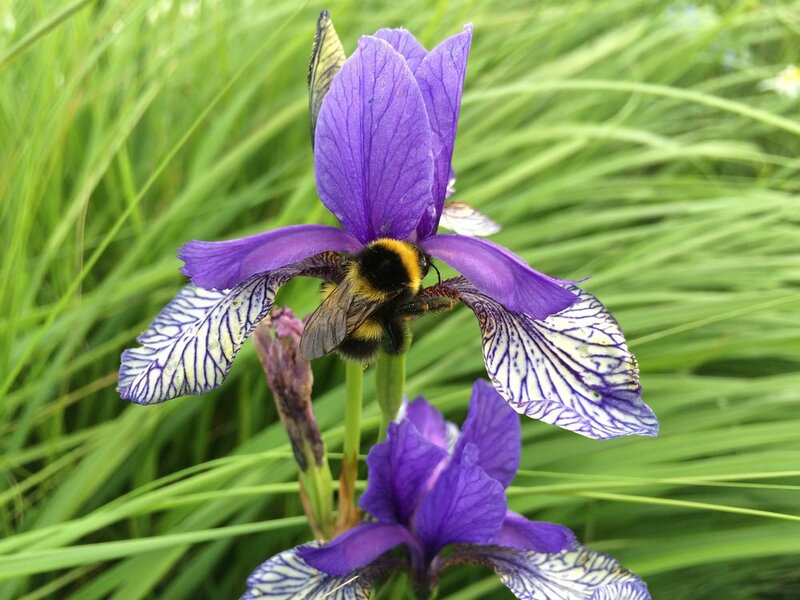 We plant native aquatic plants in the pool and are experts at designing beautiful, wildlife friendly gardens around the water’s edge, which support pollinators including butterflies and bumble bees. With beautiful grasses and seedheads left standing in winter the birds have plenty to feed on too. Soon after we built our Natural Pool, we noticed bats appearing. From the end of March to late autumn, the pool has become their favourite hunting ground. There are many ways we enjoy our Natural Pool, but a twilight swim in late summer, immersed in soft, inky water with tiny bats skimming the water around us is a magical experience.